It’s an intense, involved, ingratiating and involving experience, with exquisitely employed period instruments working in perfect reciprocal balance. Commissioned to write a work modelled on Beethoven’s seminal Septet, Schubert opted for a no less iconic Octet (all the more astonishing for being quickly followed by the Rosamunde and Death and the Maiden quartets). 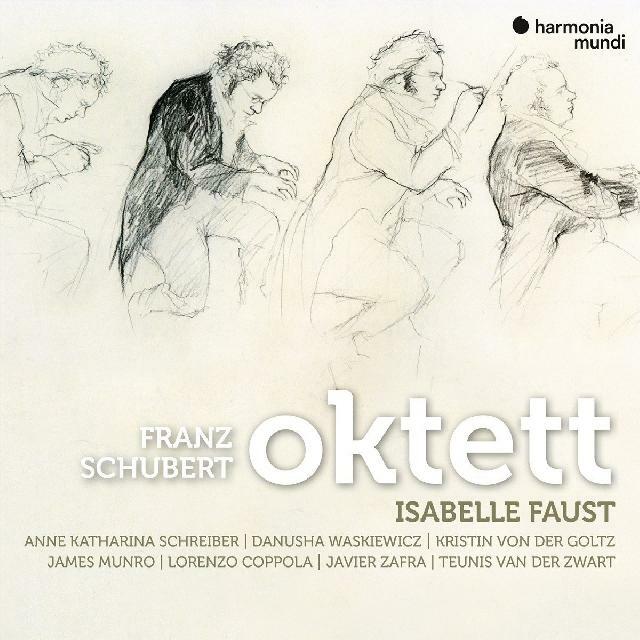 Surrounding herself with an ensemble of supremely eloquent soloists, Isabelle Faust takes a commanding lead in the Octet while remaining wholly collegial. Stepping in and out of the spotlight with balletic grace, the result is a rich, nuanced reading, alive and alert to its shifting atmospheres, acutely sensitive to Schubert’s chiaroscuro emotions. It’s an intense, involved, ingratiating and involving experience, with exquisitely employed period instruments working in perfect reciprocal balance. Especially appealing is the attention to detail and adroitly measured equilibrium between chamber intimacy and symphonic sweep, qualities captured by well-proportioned recorded sound. The two early miniature Minuets allow all involved to let their hair down in fine, fulsome style to conclude a disc marked by articulate and altogether engaging musicianship.